An optic nerve transmits impulses from each eye to the brain. This allows the information that enters the retinas to be interpreted by the brain. The optic nerve is essential for your clear, healthy vision , and if this nerve sustains damage, blindness can result. Glaucoma refers to a group of eye problems that involve damage to this crucial nerve. If you’ve been visiting an ophthalmologist in Chicago for regular eye exams, then you’re more likely to be diagnosed with glaucoma early on. Your eye doctor can get you started on treatments to delay the progression of vision loss. These eye drops regulate the pressure within your eye, which is called the intraocular pressure. By preventing the intraocular pressure from rising too high, the eye drops can delay or halt further damage to the optic nerve. Sometimes, eye drops by themselves aren’t sufficient to get the intraocular pressure down to ideal levels. 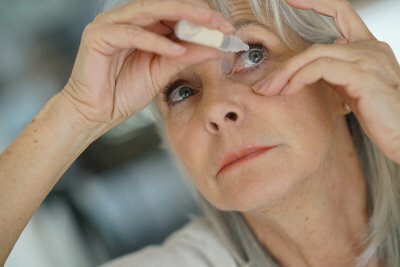 The ophthalmologist might prescribe an oral medication to take in addition to your eye drops. Before taking any new medication, make sure your eye doctor has current information regarding your other prescriptions and medical conditions. Another treatment option for glaucoma is laser surgery. If you have open-angle glaucoma, your doctor may perform a trabeculoplasty. He or she will use a special laser to improve the drainage of the intraocular fluid to reduce the pressure. Another laser surgery is an iridotomy, which is appropriate for patients with angle-closure glaucoma. This treatment also improves the drainage of intraocular fluid. An ophthalmologist may recommend surgery performed without the use of lasers. One option is the implantation of a very tiny drainage tube. The surgeon will also create a reservoir underneath a thin membrane called the conjunctiva. The tiny tube sends intraocular fluid to the reservoir, and from there, the fluid absorbs harmlessly into the blood vessels.